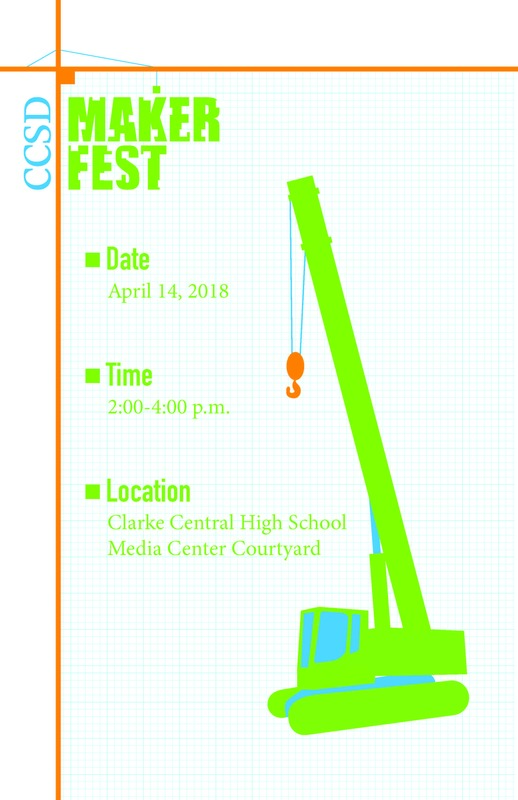 Clarke Central High School is hosting its second annual “Maker Fest” on April 15, 2018. The Maker Fest is a showcase that gives students and members of the community the opportunity to show off their invention and creativity skills. Clarke Central’s media specialists, Lindy Weaver and Mary Ann Sullivan, say that this year we can expect to see exhibits of everything from cosmetics to robotics. “Last year, we had close to a hundred booths of different students, groups of students, or community volunteers that showed off their wares,” says Weaver. The showcase will take place in Clarke Central’s media center courtyard. Presenters will include Clarke County School students from kindergarten through the 12th grade. “I think it’s important because a lot of our students, you don’t realize what kind of talent they have until they can show it off here. And these are all students that maybe they’re not a football player or something like that, but they just have such wonderful talent. We’re amazed,” says Sullivan. 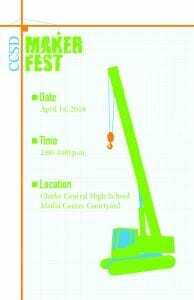 Maker Fest begins at 2p.m on April 14, 2018. The event is free to anyone and is free to anyone who would like to attend. Athens, GA — Here are three points from incumbent, Nathan Deal.